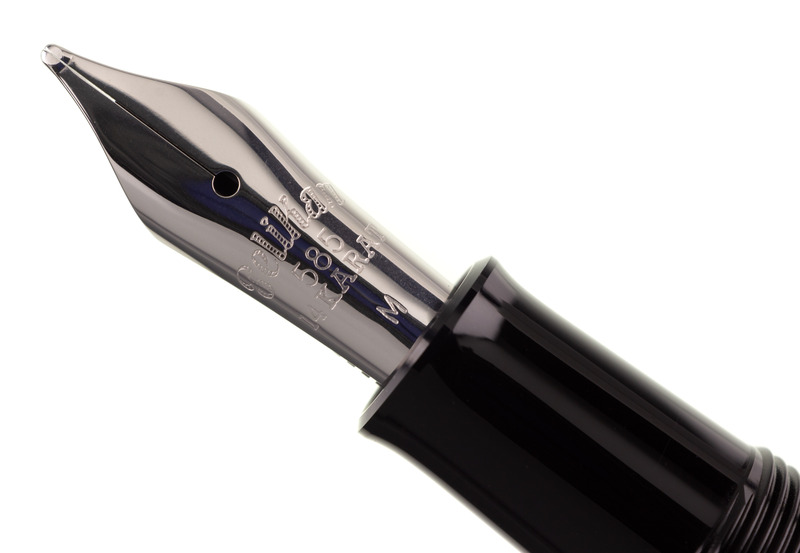 The latest in Pelikan's series of vintage-inspired releases, the M101N Grey-Blue Special Edition is provided with your choice of 14k solid gold rhodium-plated Pelikan nib, specially inscribed for this edition. 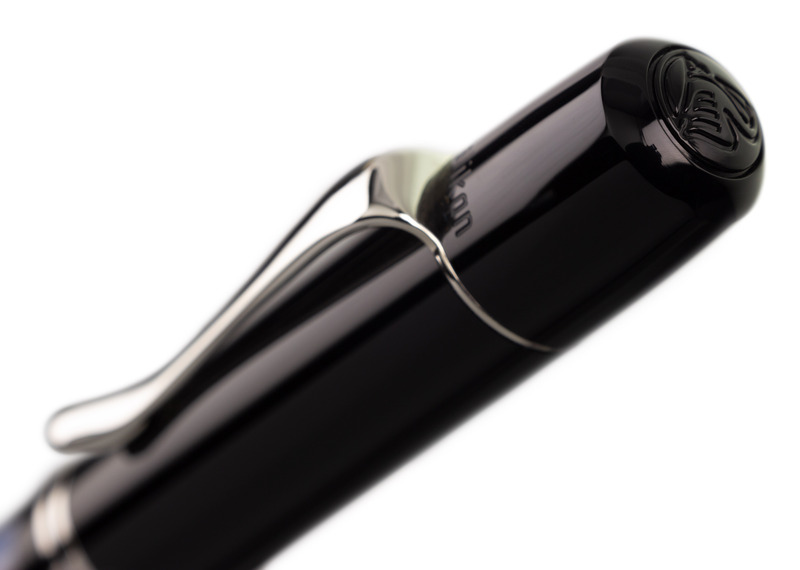 Our complimentary nib tuning adjusts optimum pressure and ink flow for your own personal preferences, and the specially inscribed nib is particularly well-suited for many of our optional nib customizations, including modifications for added flex. 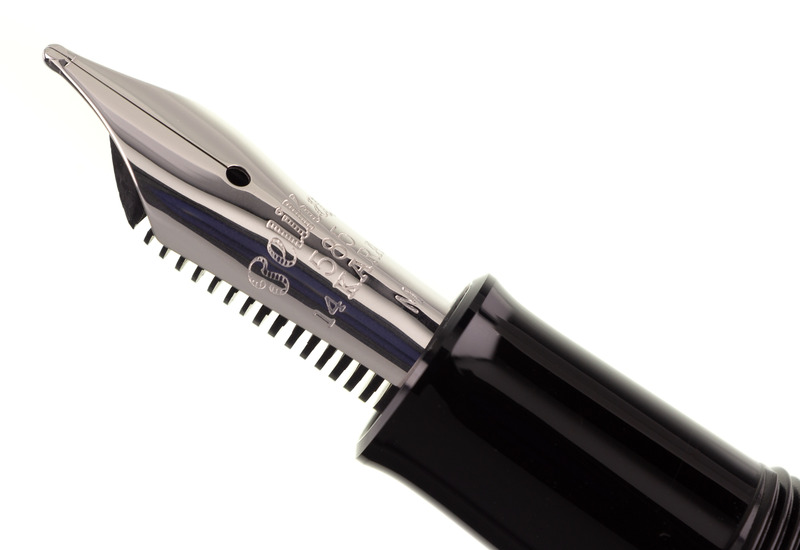 We are an authorized Pelikan dealer. 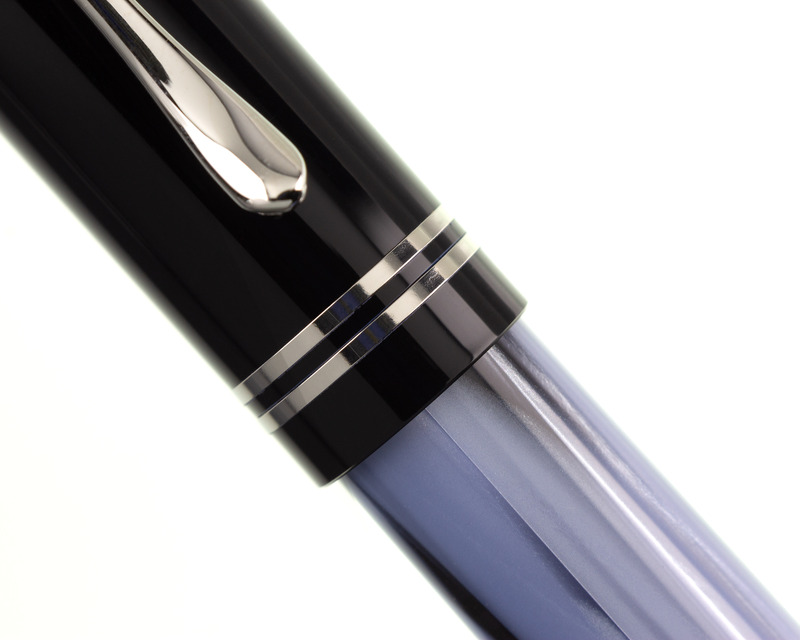 Inspired by vintage designs from the 1930's, the Pelikan M101N Grey-Blue adds a cool contemporary color palette to this classic style. 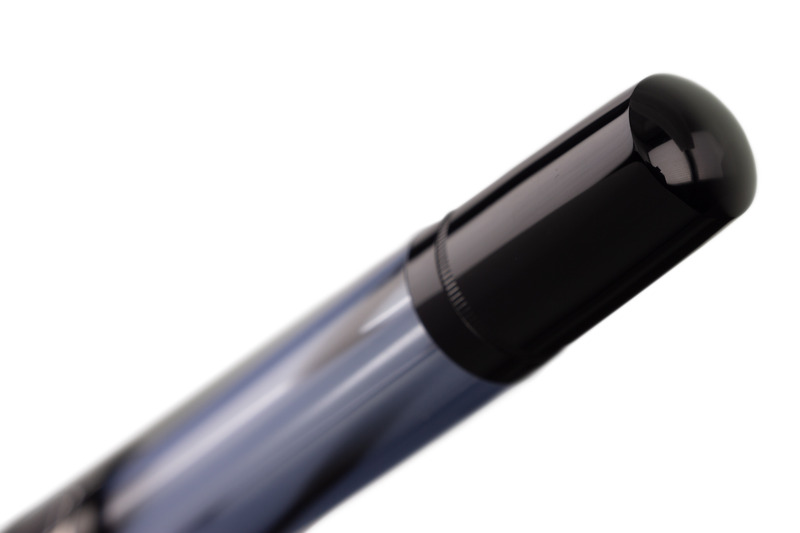 The pen fills using Pelikan's famous differential piston system, which allows for the use of any bottled fountain pen ink. 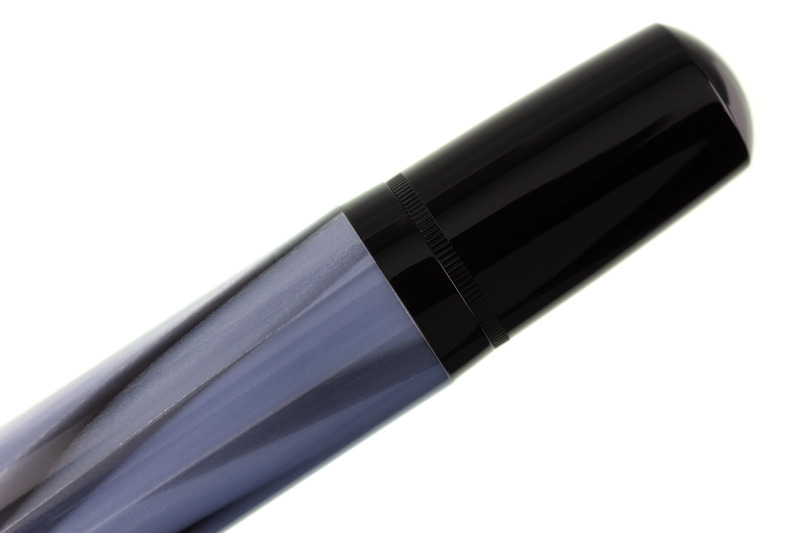 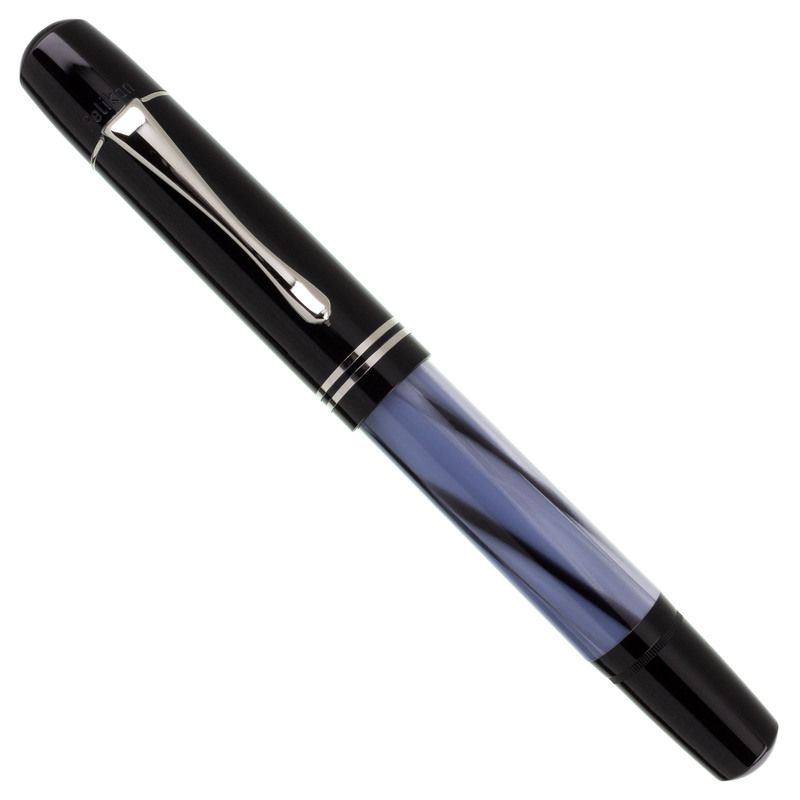 The pen body is crafted from cellulose acetate, and the trim is palladium plated. 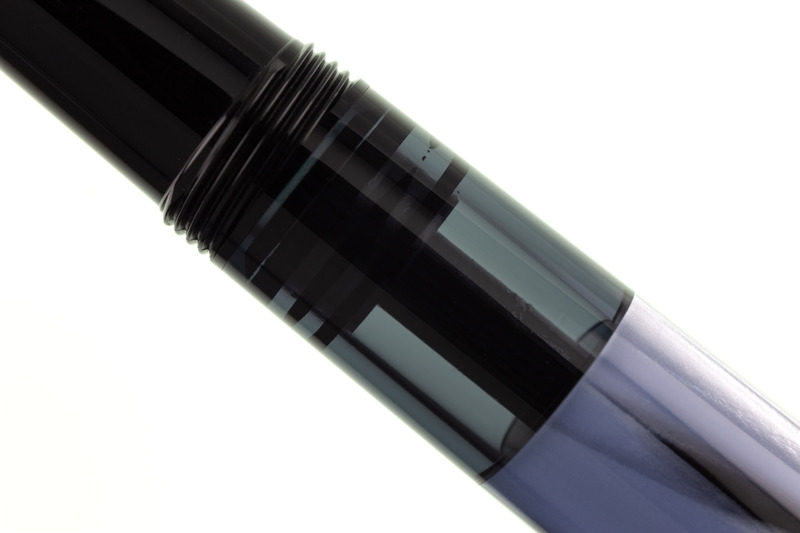 A special vintage-style presentation box includes a bottle of Pelikan Royal Blue ink, making this an excellent choice as a very special gift item.